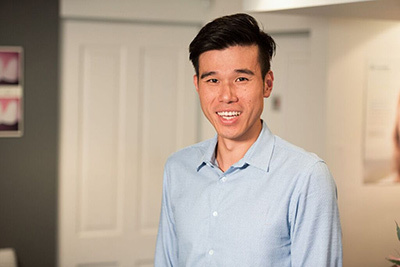 Dr Wyndham has over 15 years of experience within the dental industry, having graduated with a Bachelor of Dental Surgery from The University of Sydney in 2002. While he enjoys performing all facets of general dentistry, he is particularly passionate about implant dentistry, including both the surgical and prosthetic components. It is this passion that led him to also obtain a Diploma of Oral Implantology in 2016, allowing him to specialise even further in these procedures. Dr Wyndham’s fascination with dentistry began from a young age, when he would regularly sit-in on his mother’s dental visits. From there, he developed a strong desire to be able to help people, particularly with overcoming their health problems. Even to this day, Dr Wyndham loves seeing the positive results his dental treatments have on patient’s lives, and he prides himself on building long-term relationships and trust with patients of all ages. As a father to a young family himself, Dr Wyndham is particularly great at providing gentle dental care to children. When he’s not at Just White Dental, he loves spending quality time with his own kids, including playing sports and trying his hand at LEGO-building. As someone who loves to maintain an active lifestyle, he also enjoys playing basketball twice per week in the local competition. Schedule a consultation with our family-friendly team of dental professionals today! We look forward to meeting with you and your family to help you with all of your oral health needs.